SUP + Yoga + Maui = Amazing! “SUP” or Stand Up Paddleboard Yoga, provides a unique opportunity to improve your focus and balance while practicing yoga on the ocean. Maui SUP Yoga is more than just a name, its a way of life! Everything that we do and promote is “for the love of wellness” and we are grateful and honored to be sharing our FLOW with you! Maui SUP Yoga is an official BOGA YOGA floating studio located on the beautiful island of Maui, Hawaii. We are the exclusive provider of BOGA YOGA Paddleboards on Maui. You will be FLOWing with the best SUP YOGA equipment in the world. Practice and enjoy two different yet complementary experiences at once. The natural rhythm of the waves will guide your breath and increase awareness of posture and balance. 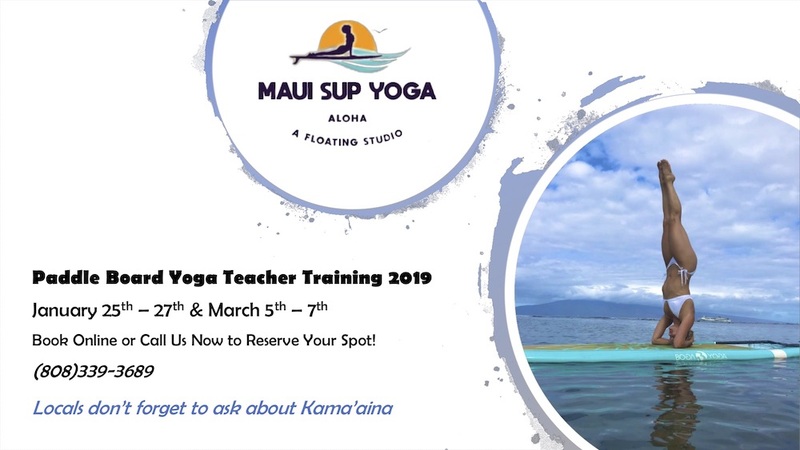 Plunge into your truest form of your body, mind, and soul through meditation and yoga, and rejuvenating with in on the beautiful beaches of Maui Hawaii. Learn to bring the joyful benefits of SUP Yoga to others! Our program will give you the methods and techniques to teach, while deepening your own practice at the same time. Our approach, our classes and the five benefits of SUP Yoga. We use Boga Yoga boards, the leading SUP yoga paddle board and the board of choice for seasoned yogis. We are Maui’s only Boga Yoga Floating Studio, dedicated to bringing you the most memorable SUP yoga class ever. 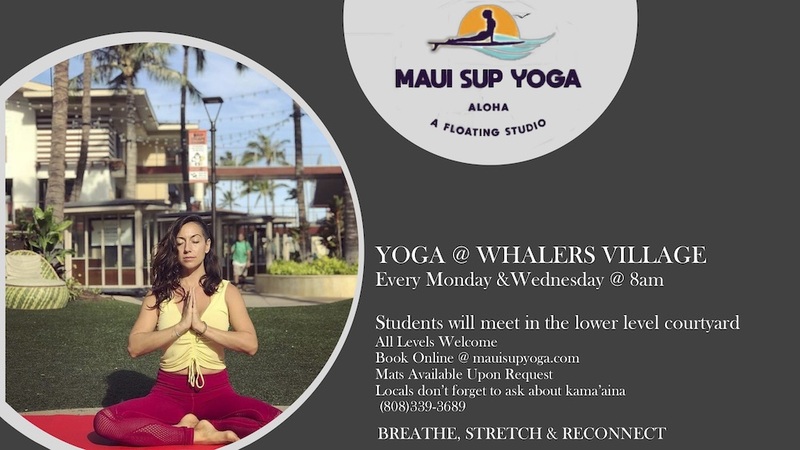 Our perfect, premier location for SUP Yoga on Maui, right in historic Lahaina Town starting on the beach at Kameahmeaha Iki Park, a quick ten-minute drive from the resorts of Kaanapali and Napili. Free in-class pictures using our Go-Pro Camera or use your own! We have mounts on the boards to securely stabilize your GoPro so that you can catch those amazing poses. Our Seasoned Instructors are familiar with the ocean and its temperament. They will guide you safely to our smoothest and most serene waters for a peaceful flow yoga class. Public or Private classes and lessons are available. Whether you want to practice your own serene yoga poses or want to book your crew for a memorable ninety-minute yoga adventure with your friends or bridal party, we can accommodate up to eight people per class. Register for Paddleboard Yoga Teacher Training Now! Let’s do this! Book your Yoga Session online now.